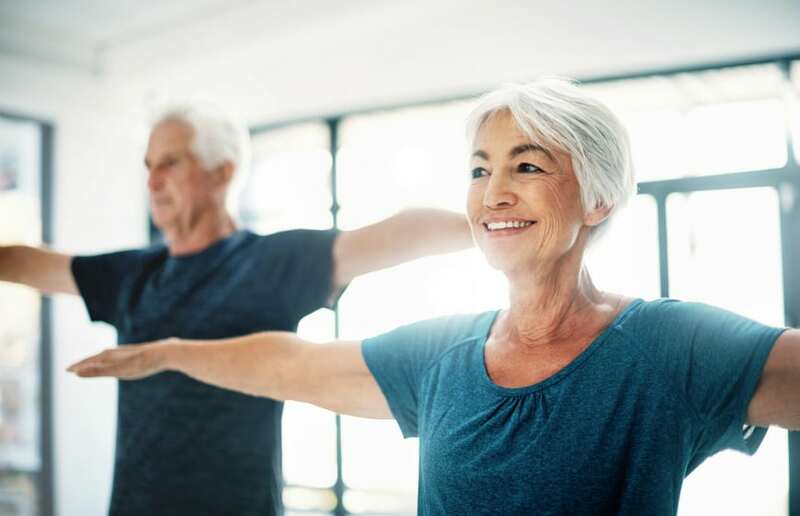 Keeping Seniors Fit: How Health Care Professionals Can Assist Older Adults to Avoid Sarcopenia - Becky Dorner & Associates, Inc.
Health care professionals who care for older adults can help prevent and treat Sarcopenia. Approximately 45% of the older adults in the U.S. are affected by sarcopenia, the progressive loss of muscle mass, function, quality, and strength driven by the aging process (1). Sarcopenia can lead to diminished strength and decreased activity levels, and can contribute to mobility issues, osteoporosis, falls and fractures, frailty, loss of physical function and independence (2). From age thirty to sixty the average adult will gain a pound of weight and lose half a pound of muscle yearly for a total gain of 30 pounds of fat and a loss of 15 pounds of muscle. After the age of seventy, muscle loss accelerates to 15% per decade. Factors that accelerate loss of muscle mass in older adults include decreased physical activity, testosterone and growth hormone deficiency, possibly mild cytokine excess, and the stress response (3). Physiological anorexia, decreased caloric intake and weight loss are all related to aging, which in turn is associated with decline in muscle mass and increased mortality (4,5). Health care professionals should use a validated nutrition screening tool such as the Mini Nutrition Assessment®-Short Form (MNA®-SF) to identify individuals at risk of malnutrition. Low MNA®-SF scores correlate with decline in functional ability, cognitive impairment, and increased frailty in older adults (6). 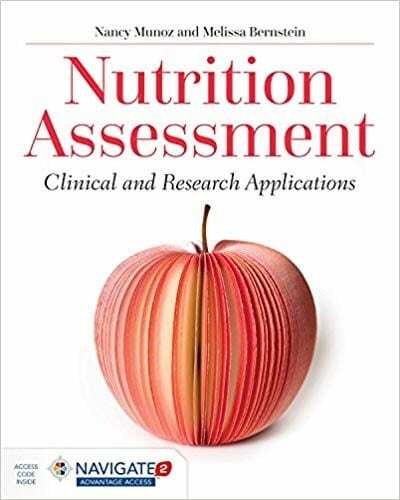 If the nutrition screening process determines that an individual is at high risk of malnutrition, a referral should be made to the registered dietitian (RD) who should follow the Academy of Nutrition and Dietetics Standardized Nutrition Care Process of assessment, diagnosis, intervention and monitoring/evaluation. Protein and energy intake are key components along with both resistance and aerobic exercise for the prevention and management of sarcopenia. Older adults historically are at risk for inadequate protein intake below the recommended dietary allowance (RDA) for protein (0.8g/kg/day) for healthy adults. One study of adults over fifty noted that 32% to 41% of women and 22% to 38% of men consumed less than the RDA for protein (7). Metabolic changes in older adults result in the production of less muscle protein than younger adults who consume the same amount of dietary protein. Studies indicate that an amino acid mixture of 30 grams per meal produced protein synthesis similar to younger persons (8). A total protein intake of 1.0 – 1.5 gms/kg/day, with equal amounts of protein consumed at breakfast, lunch and dinner is recommended (9). Paddon-Jones and colleagues noted that whey protein supplementation (15 – 20 gm) increased the muscle strengthening effects of resistance exercise (10). Supplementation of Vitamin D in individuals with low levels increases muscle strength has also shown positive results. 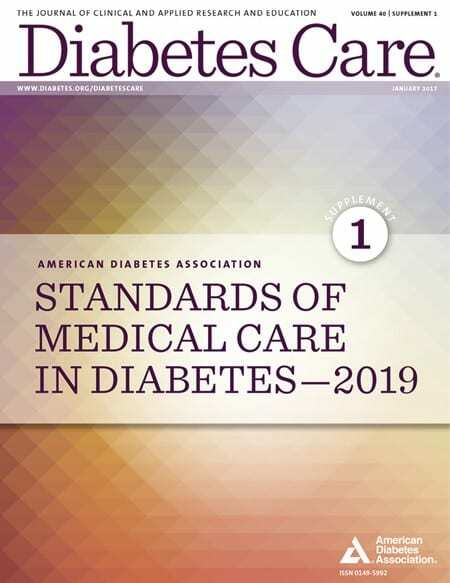 25(OH) vitamin D levels should be measured in all sarcopenic individuals and vitamin D supplementation in doses sufficient to increase levels above 100nmol/L should be given as an adjunctive therapy (9). Nearly all older adults can benefit from resistance and strength training to increase muscle strength, improve functional ability, or prevent further decline. There are four components of physical activity that are important for a well-balanced exercise plan. All are important, but resistance exercise has been shown to decrease frailty and improve muscle strength in very elderly adults. Exercise is recommended on most days of the week, but a minimum of three times a week is recommended to slow muscle loss and prevent sarcopenia (11). Endurance exercises improve the cardiovascular and circulatory systems (low-impact exercises). Strength training to reduce sarcopenia, build muscle, and possibly prevent osteoporosis. Resistance training should be done three times per week. Alone and in combination with nutritional supplementation, strength training increases strength and functional capacity (12). Balance to prevent falls. This may include tai chi, or something as simple as standing on one leg with eyes closed, though older adults may need to hold on to something while doing this. Flexibility to recover from or prevent injuries (i.e. yoga or stretching exercises). This may also help prevent falls (13). Nutrition and exercise together have a synergistic effect that helps combat malnutrition, increase strength, and promote well-being. Health care professionals can help older adults prevent and/or treat sarcopenia by encouraging a proper diet, and physical activity, using age- and ability-appropriate exercises. Janssen I, Shepard D, Katzmarzyk P, Roubenoff R. The Healthcare Costs of Sarcopenia in The United States. Journal of The American Geriatric Society 52:80–85, 2004. Alliance for Aging Research. Aging in Motion: The Facts About Sarcopenia. http://www.aginginmotion.org/wp-content/uploads/2011/04/sarcopenia_fact_sheet.pdf. Accessed March 19, 2012. Morley JE, DiMaria RA, Amella E. Frailty and the older adult: Features, vulnerabilities, and feeding. Clinical Nutrition Week. January 30, 2005. Morley JE. Weight loss in older persons: New therapeutic approaches. Curr Pharm Des 2007;13: 3637-3647. Visvanathan R, Chapman IM. Undernutriton and anorexia in older persons. Gastroenterol Clin North Am 2009; 38: 393-409. Donini LM, Savina C, Rosano A, et al. MNA predictive value in the follow-up of elderly patients. J Nutr Health Aging 2003;7:282-293. Kerstetter JE, O’Brien KO, Isogna KL, Low Protein Intake: The impact on calcium and homeostasis inhumans. J Nutr 2003; 133: 8555-8615. Paddon-Jones D, Sheffield-Moore M, Zhang XJ, Volpi E, Wolf SE, Aarsland A, Ferrando AA, and Wolfe RR. Amino acid ingestion improves muscle protein synthesis in the young and elderly. Am J Physiol Endocrinol Metab 286: E321–E328, 2004. Morley JE, Argiles JM, Evans WJ, et. al. Nutritional recommendations for the management of sarcopenia. J Am Med Dir Assoc. 2010; 11: 391-396. Paddon-Jones D, Sheffield-Moore M, Katsanos CS, Zhang XJ and Wolfe RR. Differential stimulation of muscle protein synthesis in elderly humans following isocaloric ingestion of amino acids or whey protein. Exp Gerontol Nov 22, 2005b. 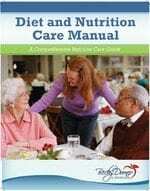 Dorner B, Diet Manual: A Comprehensive Resource and Guide. Becky Dorner & Associates, Inc., Akron, OH, 2011. 12. Mead Johnson Advisory Board for Geriatric Health and Nutrition, Recuperative Powers of Nutrition: Resistance, Recovery, Rehabilitation Monograph. Mead Johnson Nutritionals, Mead Johnson & Company, 2003. 13. NIH Senior Health: Falls and Older Adults. 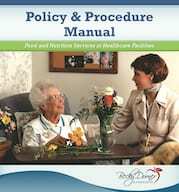 http://nihseniorhealth.gov/falls/aboutfalls/03.html. Accessed June 14, 2010. Becky Dorner, RD, LD is widely-known as one of the nation’s leading experts on nutrition and long-term health care. She is currently serving as the Academy of Nutrition and Dietetics Speaker of the House of Delegates. Her company is dedicated to improving quality of life for older adults, and is a trusted source of valuable resources for healthcare professionals. Sign up for a free membership at www.BeckyDorner.com and access articles, resources, FAQs, publications, and continuing education programs to make your job easier. Contact us at info@beckydorner.com. Mary Ellen Posthauer, RD, LD,CD is President of MEP Healthcare Dietary Services Inc. in Evansville, IN. Mary Ellen was a member of the 2008 Society for Sarcopenia, Cachexia and Wasting Disease expert panel that developed nutrition recommendations for sarcopenia and a contributing author to Nutritional Recommendations for the Management of Sarcopenia JAMDA 2010 article. If you have other tips that are effective for determining appropriate approaches to assisting older adults age healthfully, please take a moment to share it below!